Fast forward to now and I cook every night, and I love it! Especially since becoming a stay at home Mum… being in the kitchen, alone, is my time. The husband gets home, he’s on kid duty and I get to go and cook dinner. Works well! 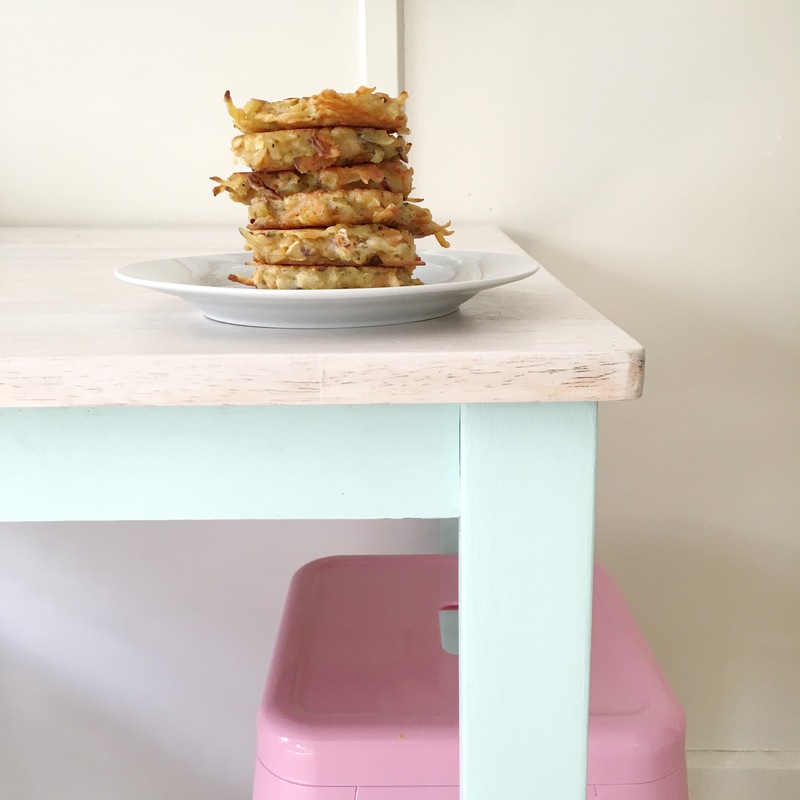 Now to the fritter talk… I used to love the idea of corn fritters, my friend Amanda used to make them for our toddlers when they were just starting on finger foods. Her fritters always looked so yummy and crispy on the edges. Whenever I would try them at home, they were big fat FAILs. I would get all huffy after the first batch came out of the pan and throw the whole mixture out. Then I’d whinge to the husband and tell him that I’m never trying fritters again. A month or so later, I’d go to Amanda’s house, come home and try them… repeat of the above. Another few months… repeat. FAIL. FAIL. FAIL. Fry in your choice of oil. You can add whatever grated veges you like, zucchini is a popular one. This is me 😅 mum always cooked, moved out of home and then i had someone to cook for me, then got with kane when he was training to be a chef soo no cooking for me until now..